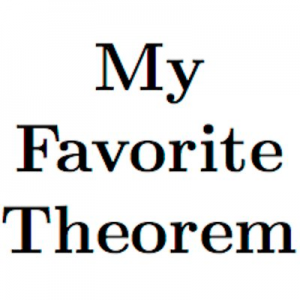 As of this month, maths person Evelyn Lamb and colleague Kevin Knudson are producing a regular weekly maths podcast called ’My Favorite Theorem’. They plan to spend each episode talking with a mathematical professional about their favourite result in mathematics, as well as something which goes with it, such as a foodstuff or real-world object which analogises well (like choosing a wine paired with a meal). The episodes are fairly short – both released so far are under 25 minutes – and the first one focuses on the hosts’ own favourite theorems. If you can get past the US spelling of favourite, it’s an enjoyable listen and covers some cool topics. Welcome to the 145th Carnival of Mathematics, hosted here at The Aperiodical. 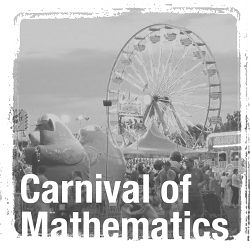 If you’re not familiar with the Carnival of Mathematics, it’s a monthly blog post, hosted on some kind volunteer’s maths blog, rounding up their favourite mathematical blog posts (and submissions they’ve received through our form) from the past month, ish. If you think you’d like to host one on your blog, simply drop an email to katie@aperiodical.com and we can find an upcoming month you can do. On to the Carnival! As part of our series of ‘Follow Friday’ posts in which we suggest mathematical Twitter accounts you might like to follow, here’s a special International Women’s Day edition with some of our favourite mathematical women and related accounts. If you’d like the conversation in your feed to be less dominated by the Sausage Theorem, maybe consider adding a few to your lists. Put your own suggestions in the comments too! 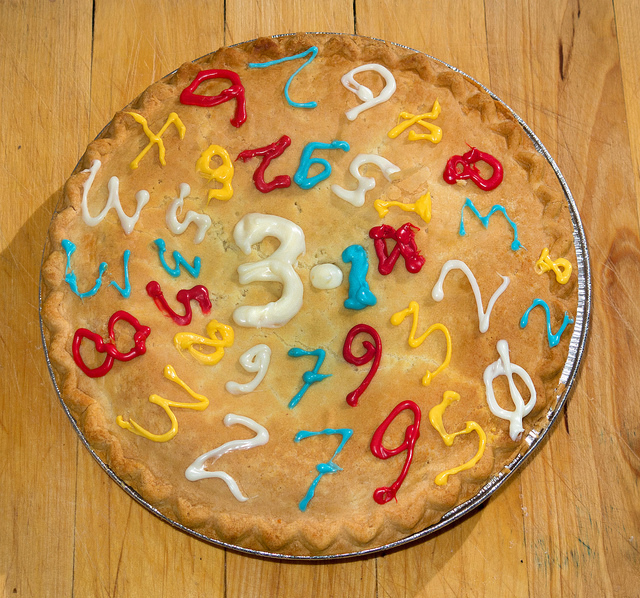 π pie by Robert Couse-Baker. Photo used under the CC-BY 2.0 licence. ‘Tis the season to celebrate the circle constant!1 Yes, that’s right: in some calendar systems using some date notation, the day and month coincide with the first three digits of π, and mathematicians all over the world are celebrating with thematic baked goods and the wearing of irrational t-shirts. Evelyn Lamb is a professional mathematician who has taken up journalism on the side. She received the AAAS Mass Media Fellowship last year, and spent the summer writing for the magazine Scientific American. We talked to her about maths journalism, the challenges involved in making advances accessible to a wider audience, and the differences between blogging and print journalism.